Taxes are a side effect of adulthood. They provide a great service to the community, but that doesn’t make them any more pleasant to pay. As a full-time college student, your taxes work a little differently than they will once you’re in the workforce. Let’s take a look at how scholarships and taxes are handled so you can prepare for your financial future. For the most part, scholarships are tax-free. The IRS requires that the scholarship money go toward a degree at an “eligible institution”. This means that there is a consistent staff, curriculum and student body. The money must go toward qualified expenses, like tuition, books, and school supplies. It cannot be used for housing and food. With this in mind, many college students use scholarships as a form of income while they are unable to work. If you get scholarship money to cover your tuition, school-related expenses and then some, the leftover money may be considered taxable. In most colleges, you are able to receive scholarships, grants and student loans valued up to your estimated cost of attendance. This price is calculated based on the classes you take. The cost of attendance includes estimated room and board, which is why you may receive a refund check at the beginning of the semester. That is when scholarships and taxes start to inter-mingle. To clarify the information above, consider this example. You get $20,000 in scholarships for a semester, maximizing the cost of attendance. Your tuition, fees, books and class-specific school supplies only cost $15,000. You use the other $5,000 to cover your housing and food for the semester. You would have $5,000 in taxable income. Scholarships are also considered taxable if they represent teaching wages. This usually applies to grad students who work as teaching assistants while completing their degrees. Even if the scholarship money ultimately goes toward tuition and fees, it is all considered taxable income. The school will issue a W-2 form just like any other employer, and the student will have to file taxes accordingly. Are Scholarships Taxable If I’m a Dependent? As independent as you may feel in college, you may still legally be considered a dependent. Your parents can claim you as a dependent until you are 24 as long as you are enrolled in college and not married. You need to have a discussion with them prior to filing taxes to see if they are claiming you as a dependent. If so, there will be a place to indicate that on your personal taxes. The same rules about scholarships and taxes apply whether you’re a dependent or not. The difference is that your parents may claim the credits and deductions you receive as a student if you are their dependent. This means that if you have a job, you may get a smaller tax refund at the beginning of the year. However, your parents will get a larger refund, which could free up more money for them to help you through college. Should I Be Considered a Dependent? There are pros and cons to being a dependent as a college student. If your parents are indeed paying for your college expenses, they should be able to claim you as a dependent. If you are supporting yourself entirely on your own though, you do not have to follow this dependency status. Just make sure that you talk to your parents so there are no discrepancies with your tax returns. There are several tax credits and deductions available to reduce the taxable income associated with scholarships. The American Opportunity Tax Credit provides $2,500 per student per year for up to four years of undergraduate education. To qualify, your modified adjusted gross income must be less than or equal to $80,000 (if filing single) or $160,000 (if married, filing joint). Another option is the Lifetime Learning Credit, which provides $2,000 per tax return instead of per student. This credit is good for undergraduate, graduate, and professional course students, and there is no limit to the number of years it is available. Income limits are $55,000 for individuals and $110,000 for married couples filing jointly. You may only use the AOTC or the LLC, not both. Tax deductions change each year, but there are usually deduction opportunities for tuition and student loan interest paid out of pocket. 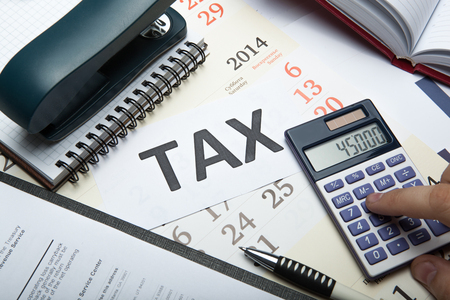 A tax professional can help you decide which deductions fit your situation and how they affect your taxable income. So, are scholarships taxable? Yes and no. Thankfully, there are credits available to offset the cost if your scholarships are considered taxable. File taxes each year based on your dependency status, and you can stay on the IRS’s good side throughout your degree program.